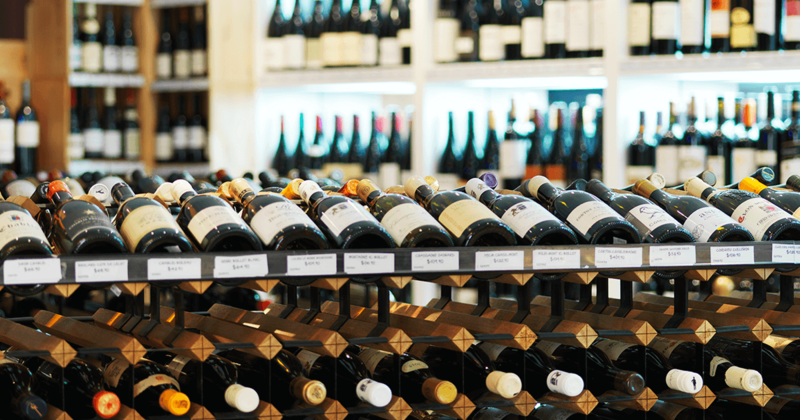 Harry Letho and his staff at The Bottle Shop are well versed in the art of helping you choose wine. “The way we sell wine is to ask our customers questions about who they are buying for, what wine style or grape varietal they like, and their budget,” Harry explains of their tailored approach. So with the holiday season now in full swing, we thought who better to ask for tips on buying drops to satisfy everyone? Italian or Spanish varietals made in Australia are a big trend right now. A lot of new winemakers are pioneering this style at the moment and a lot of the older winemakers have actually been doing it on the side for a while. It’s a conventional style of wine, but with an experimental twist. Otherwise, you could go for something more alternative, like a natural wine from the Adelaide Hills. Do your research about what they like, or let us do it for you – that’s what we’re here for. Personally I would pick something with a brand name or a recognisable winemaker behind it – something they would associate with quality. The Kalleske family are an old winemaking family from the Barossa, so that’s a good go-to. Or you could go for a bottle of Henschke or Rockford– if someone gave me a bottle of Rockford, I know they know what they’re doing. Oh champagne all the way. Ruinart Blanc de Blancs is one of my all-time favourites – it’s so drinkable and exceptional quality. A bottle of Dom never fails to impress and we have the Dom Pérignon Vintage 2008 Legacy Edition available, which is really special. Or a bottle of one of the grower champagnes is great as well – this is where they grow their own grapes to make the champagne in-house. A lot of the big houses actually buy grapes from other growers in the Champagne region. So grower champagne is great value for money and it is definitely on the rise right now. French reds are a category that’s becoming increasingly popular again and they are often quite affordable if you – like a good Côtes du Rhône or a Bordeaux. Otherwise Duane Coates makes fantastic wines from traditional varietals as well as alternative Spanish/Portuguese varietals that are great value for money. This is something we pump out in the shop – everything of his so far we have loved. If you have no idea who you’re buying for or what kind of wine they’re into, then a gift card is always a safe bet. We sell them in The Bottle Shop and online, so it’s a great solution for whenever you’re flying blind. I mean, who doesn’t love the chance to pick out something special for the holidays?